The harbour town of Porthmadog is as rich in maritime history as they come. Dave Rothnie reports. 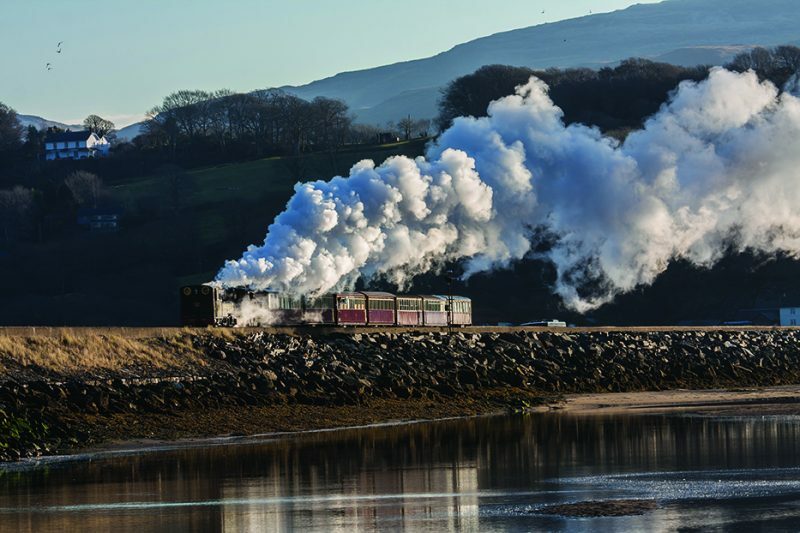 As the home to the world-famous Blaenau Ffestiniog railway, steam buffs have long been familiar with the attractions of Porthmadog, and at the weekends the high street is teaming with day-trippers as well as the friendly locals. But the town’s status as the gateway to Snowdonia makes it an ideal destination for a longer stay in order to enjoy and explore the surrounding area. A harbour town situated on the Glaslyn Estuary, Porthmadog is rich in maritime history and owes its openness and transport links to the vision of William Madocks, an 18th Century Georgian entrepreneur who gives the town its name. Travelling from the south, you enter into the town along the famous embankment or ‘Cob’, built by Madocks to form the deep harbour from where great sailing ships carried around the world slate mined in Blaenau Ffestiniog. Born in 1773, Madocks built the Cob across the Glaslyn Estuary, thus considerably easing travel – by foot, horse and eventually by rail – between Mid and North Wales and, in doing so, he created two new communities – Porthmadog and nearby Tremadog. Madocks made it his mission to open up the country to commerce and he built the Cob to enable traffic from mid Wales to reach Porthdinllaen on the Llyn Peninsula. Trade with Ireland was beginning to gather momentum and Madocks had plans to create a new port at Porthdinllaen in order to carry this traffic. However the bridging of the Menai Straits meant that Holyhead, not Porthmadog, won the race for the Irish trade – but Madocks persevered with his plan and work on the Cob was completed in 1811. The project proved a drain on Madock’s resources, and the great storm of 1812 damaged the construction. But what put Porthmadog on the map in the 19th Century was the thriving slate industry. Blaenau Ffestiniog and its famous slate quarries lay only a dozen miles south west of the new port and town and, as the demand for Welsh slate began to grow, Port Madoc became an international port to export the raw material. The town’s population climbed to 3,000 in 1861 from close to zero at the start of the Century. When World War One broke out in 1914, the lucrative German slate market totally disappeared and the port consequently fell into disuse. Now this bustling town survives on its tourist trade and serves as an ideal base from which to explore Snowdonia. Porthmadog is an area of special marine conservation lying offshore between the Eryri-Snowdonia National Park and the Llyn Area of Outstanding Natural Beauty. Black Rock sands, a long sandy beach situated at Morfa Bychan, lies two miles from Porthmadog and draws the crowds, as does nearby Tremadog Bay, which boasts extraordinary marine wildlife, including sea-turtles and dolphins. Mount Snowdon, the highest peak in England and Wales, is just 15 miles away.